Once there was an eagle soaring high in the sky and as it flew, almost out of sight, it became unsteady and finally began to fall. It plunged to the earth in a pasture near to men. Both men approached the eagle and found it shaking and trembling. In its claw was a rattlesnake. The eagle had caught the reptile, soared in the sky, and finally lost the battle when the snake bit it. There it lay, holding the very thing that killed it! People, unfortunately, are very similar. They have the thing from which they hope to derive some pleasure, but, like the eagle in the story, they are fighting a losing battle and are holding onto the very thing that will mean their spiritual death. How sad that a soul is lost because they won’t turn loose! Am I holding onto something today that will ultimately destroy my soul? If so, why not let it go while I still can? “Therefore put to death your members which are on the earth: fornication, uncleanness, passion, evil desire, and covetousness, which is idolatry. Because of these things the wrath of God is coming upon the sons of disobedience” (Col. 3:5-6, NKJV). “For if you live according to the flesh you will die; but if by the Spirit you put to death the deeds of the body, you will live. For as many as are led by the Spirit of God, these are the sons of God” (Rom. 8:13-14, NKJV). Self-destructive behavior is all around us. I think one of the most commonly seen forms of this is the act of failing to take personal responsibility for our own actions or lack there-of. Why might this be self-destructive? Because people engage in self-deception when they do this, which impacts subsequent behavior. Until people see and admit their own faults and short comings, they simply will not change. Change is required to be truly happy in this world. But more importantly, change is required to be pleasing to God. People who will not accept personal responsibility simply will not repent of their ways. Without repentance, there is no hope of eternal life. There can only be certainty of eternal punishment. This is the ultimate form of self-destructive behavior, IMHO. I think one of the best examples of this behavior is found in Genesis 3. In verses 9-13, we see that Adam, upon being called out for disobeying God, blamed Eve, his wife. Eve subsequently blamed the serpent. However, upon close examination, we see that Adam actually did something worse. Much worse. He said, “The woman whom You gave to be with me, she gave me of the tree, and I ate.” Adam in essence blamed God because God was the giver of Eve, a point which Adam was careful to make. Adam and Eve had it made in Eden. The place was a paradise. God walked with them in the garden. Yet when Adam failed on the one and only command given him, he “passed the buck”. The end result was being kicked out of the garden and being forced to a life of hard labor and toil. I find it interesting that the account of this behavior is the very first inspired account of man’s failings. Perhaps it was placed up front and center for a reason… We should take note. 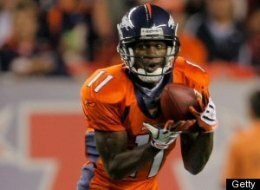 Kenny McKinley, a former football player for the University of South Carolina and a wide receiver for the Denver Broncos, was found in his Englewood, Colorado home Sept. 20 dead from a self-inflicted gunshot wound. McKinley’s former college coach, Steve Spurrier, said it was difficult to understand why the pro player took his own life. Each suicide appears to be a senseless case of self-destructive behavior. Little do we know of the pressures and problems that afflict peoples’ minds. There are several organizations designed to help those whose despondency leads them to think or attempt suicide. But, there is something even more self-destructive than suicide. There is an eternal self destruction. Jesus said, “The one who rejects me and does not receive my words has a judge; the word that I have spoken will judge him on the last day. For I have not spoken on my own authority, but the Father who sent me has himself given me a commandment—what to say and what to speak,” (John 12:48-49 ESV). If one, after hearing Jesus’ words, decides to reject him, there are grave consequences. When Jesus sent his 70 disciples to preach the kingdom of heaven was near, he pronounced woes on Chorazin, Bethsaida and Capernaum because the people of those cities decided to reject Jesus and his words. “It will be more tolerable for Tyre and Sidon at the judgment than for you,” Jesus said to the people of these cities (Luke 10:14). Rejecting the words and invitation of the Lord Christ is spiritual suicide, which is far worse than killing oneself. Ending ones’ life is tragic, certainly. But if one rejects the bread of life, one spiritually dies, which has far greater consequences. Without identifying the person, name an act of self-destructive behavior you’ve seen recently. This Nudge ties in with my editorial today on Forthright Magazine about the lady who doused her face with acid and our own behavior that can inflict personal harm. Also, John, I wondered what examples we might find in Scripture of self-destructive behavior.